Do the lives of our children matter? Do the lives of our brothers matter? Do the lives of our sisters matter? What about the lives of our husbands, fathers, wives and mothers? Most people would probably answer yes to these questions. How do we then explain the lives lost in seemingly normal moments like walking down the street in a hoodie, selling CDs on a street, or driving to a new job? Trayvon Martin. Alton Sterling. Sandra Bland. Mzee Mohammed. Sarah Reed. Jermaine Baker. Since 1990 156 BME deaths in police custody in the UK. Their lives mattered, but tragically they are no longer here. It is not a coincidence that on both sides of the Atlantic, perhaps more frequently in the US, a number of young black men and women have suffered at the hands of the authorities and paid a price with their lives. As counselling psychologists we stand up for those we engage with who are impacted by these very sad incidents. The truth be told, these young men and women look like us. Our privileges as professionals do not by any stretch of imagination protect us against these occurrences. 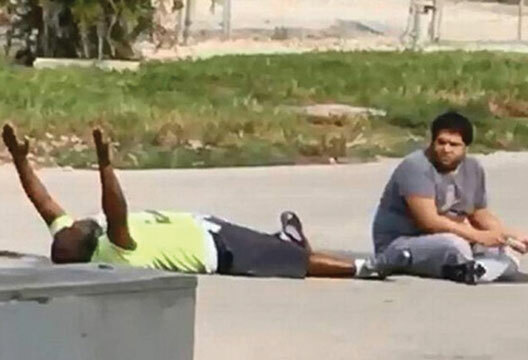 One only has to look to the experience of Charles Kinsey, an African American behavioural therapist who was shot, even after he demonstrated he was unarmed. He was doing his job, endeavouring to calm his autistic client. Like many others before him, the colour of his skin prompted a response from police officers that is becoming all too frequent – the kind of response that suggests a black man or black woman is threatening or dangerous. And subsequently, a need to react based on a fear of this danger. This is not a new reaction. The difference now, is the magnification of these events through the world stage of social media platforms. There will be people out there (psychologists and non-psychologists) thinking why black people? And we ask why not black people? As a profession, we know what the invalidation of an experience can do to an individual, a group or a community. Our work does not begin and end in the therapy room. As psychologists, we have a duty to be a part of the narrative, to openly advocate for our clients and to adopt a stance that strengthens the narratives of individuals who have been disenfranchised. Black lives matter because, for far too long, black lives have been ignored and minimised. This statement does not take away from the significance of other lives. Instead, it sheds light on issues that many still find too uncomfortable and difficult to talk about. We cannot afford to be uncomfortable and do nothing – not when a black boy can get killed walking to a store to buy skittles. How can we all contribute to Black Lives Matter? By educating our peers; having open dialogues around race, racism and discrimination; recognising privilege and exploiting it in service to others; speaking up and contributing our knowledge; by standing alongside individuals who march in the name of justice and lives lost; and by pushing for change and accountability.